If you couldn’t tell from my previous posts, I love hemp, so the idea of a protein bar largely made of hemp definitely has some appeal. The flavor wasn’t particularly inspiring nor unpleasant in any way. It was somewhat sweet, yet savory, the dates that make up much of the bar are a large flavor component. The mouth-feel was totally awesome! It had a cake-like texture, reminiscent of a denser angel food cake or pound cake. There are many benefits to eating a raw diet and for those who choose to eat raw your options in terms of protein bars is very limited. Thankfully, you have the Evo Hemp Cashew Cacao protein bar, which has the third highest protein per ounce ratio out of the bars I have reviewed so far paired with one of the better flavors/mouth-feels. 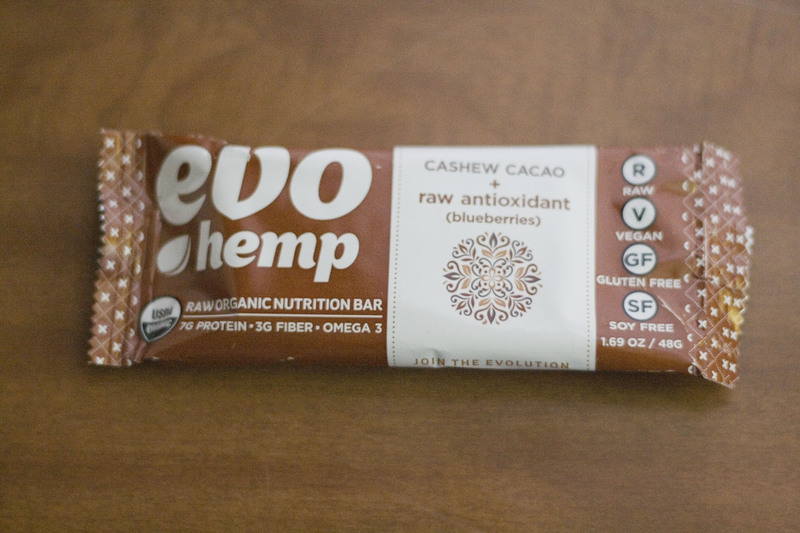 This is the only bar I have reviewed that contains any phosphorous, manganese, magnesium, zinc and B vitamins; this wide range of nutrients makes the Evo Hemp bar, perhaps, the overall most nutritious bar I have reviewed so far. This would also be a great protein bar for bringing to Burning Man as there is nothing in it to get melty and gooey inside the wrapper. I’m so happy I came upon this review! I picked up a few at my local Whole Foods and I’m about to try one. Thanks for sharing your experience!